Okay, so I caved. For a while I remained completely unbothered by the Kylie Cosmetics Lip Kit hype, but for some reason, once the Metal Matte Lipsticks launched, I was sold. I've been pretty intrigued by the metallic lipstick trend that has surfaced lately (see here) so when I heard about these new shades I figured I'd see if I could get my hands on one. This arrived in my letterbox around two weeks ago now, so I feel like I've road tested it enough to share my thoughts! I wrote a whole section about my experience getting the lipstick and the shipping process including fees and whatnot, because I know a lot of people are curious about that part, so that'll be at the end of this post! 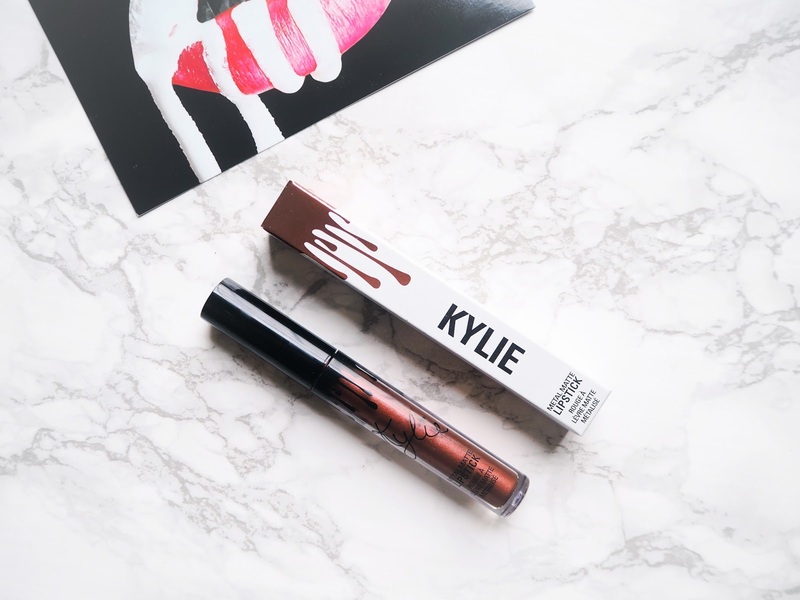 As soon as I saw the swatches of the Metal Mattes on Kylie's Instagram I knew that I wanted the shade Reign, and I did manage to purchase that particular shade after a lot of faffing about on the website. As soon as the package arrived I pretty much tore into it and managed to cut my thumb open in the process - bit too keen. Straight away the packaging of the product surprised me as I expected it to feel cheaper and somewhat plasticky. Don't get me wrong, the packaging definitely isn't high end or luxury, but it is quite weighted which makes it feel a bit nicer. The overall design is very simple and it has a classic doe-foot applicator housed inside the plastic tube. The shade of this is described as a "ruddy copper metallic" which I'd say is fairly accurate. The formula is very creamy and pigmented and it applies evenly. These do have a scent to them, however I think that since the initial launch of the original Kylie Lip Kits the scent has been toned down, so it's just a subtle vanilla scent that doesn't really linger. Something that really surprised me about this lipstick is that it doesn't dry down like my other matte liquid lipsticks. 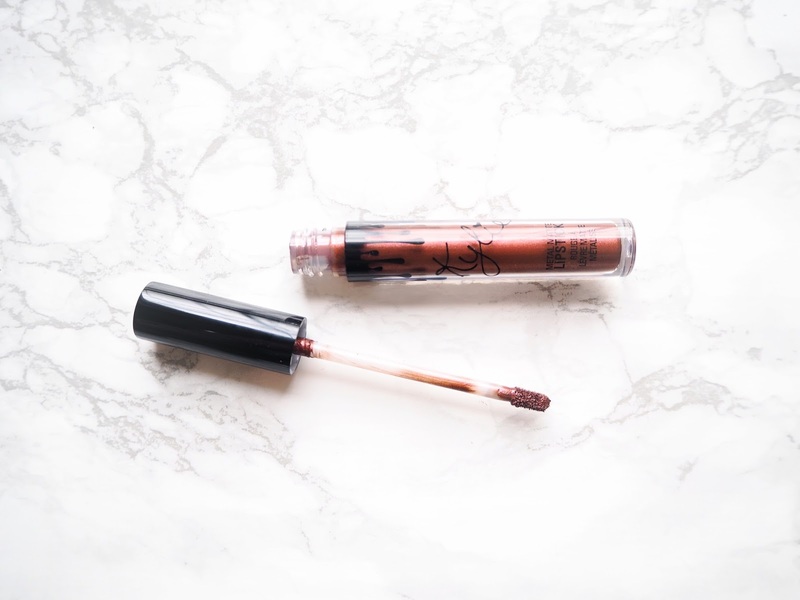 Only once I started researching for this review, did I realise that although they're marketed as matte liquid lipsticks, they're described on the website as providing "a saturated lay down of incandescent pearls with a creamy demi-matte finish". 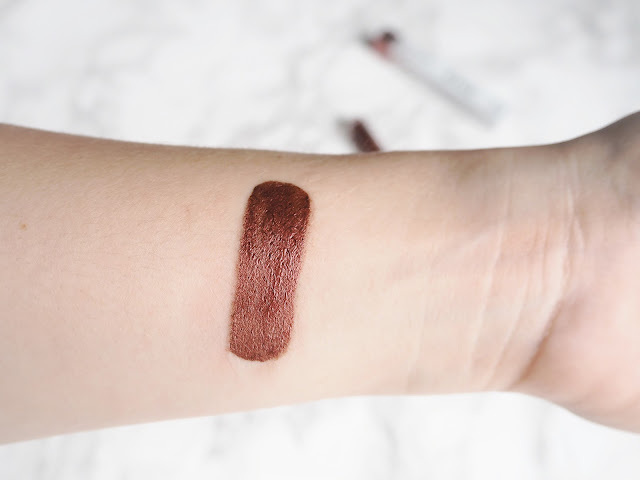 Basically this lipstick stays creamy and although it does dry down a little over the course of time it's nothing compared to the dry-down of your average matte liquid lipstick. I do struggle a bit with bold lip shades that don't dry down, because they're such hard work to maintain. I found myself having to reapply this every hour or two and it transferred onto food and drinks. Despite that, it wasn't drying at all and the shade is absolutely gorgeous. As it's a metallic lipstick, it does add some extra dimension to the lips and makes them look slightly fuller. Overall, this one's a toughie. I've been wearing it a lot because I do really love the shade but I'd say the formula is just okay. It does say on the website that this provides "bold, ongoing wear" but that wear time is only ongoing if you're not eating or drinking or doing much at all. I think if it had been marketed differently I might not have expected a long-lasting formula that's on par with what I've heard and seen from her Lip Kits. I'd really like it if this formula was a little more long-lasting, but I do have to say that I still really like this lipstick and if it takes a few little retouches here and there every so often, then I'm okay with it, purely because the shade of this is so unique to my collection. 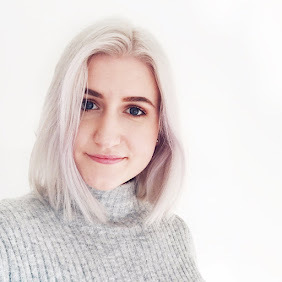 If you're someone who's a die-hard fan of long wearing matte lipsticks then it might be better to give this one a miss, but if you gravitate more towards creamier formulas then you might really like this lipstick! I thought I'd briefly (kind of) tell you about my experience getting one of these because Kylie Cosmetics products are infamously hard to get ahold of as they usually sell out in under a few minutes. If you're not interested in all the nitty gritty then you can just skip this part! As soon as I decided I wanted one of these, I mobilised all my resources and my full on beauty-addict mode kicked in. Kylie regularly updates people on restocks on Kylie Cosmetics through Twitter and her app. I don't have her app so I just switched on Twitter notifications for her account. I then found a very handy page on Glamour that updates you regularly on her restock announcements, so I'd also check in there. One day I went on the Glamour page and saw that there had been an announcement of the release of the Metals that day and there were numerous updates following that saying "nothing yet" and "still waiting". Despite that, I went onto the Kylie Cosmetics page (out of boredom more than anything) and they had literally been released the minute I went on there. (I'm now somewhat convinced I have a sixth sense in the beauty department.) After a lot of faffing and the website freezing on me about ten times, with me accidentally adding three things to my basket, then mistakenly deleting everything and then being told what I wanted was out of stock when it actually wasn't I eventually checked out and paid for the shade I wanted. It takes the company 3-5 business days to process the order and after that, international shipping takes 10-15 business days. My order took around five days to process but had arrived within about 7 business days, which I was really pleasantly surprised by. I have heard a lot of mixed responses from people ordering with this company and I've read some bad experiences where customer service was very lax. I can, however, only vouch for my experience and thankfully it all went very smoothly. Another issue for a lot of people ordering internationally are customs charges. From what I've read, I think it's fairly hit and miss on whether or not you have to pay customs fees. I ordered to Zurich, Switzerland and I didn't have to pay any additional fee beyond what I paid for the product and shipping. I assumed that this was because I only ordered one product and the value was still below the cost beyond which they usually charge customs, but apparently some people have ordered loads and some have ordered one product and in both scenarios people have had to pay customs. So basically, you have to take a bit of a chance and hope that you don't have to pay extra! Well that's been a bit of a wordy one, congrats if you've made it to the end of this post! I hope this review has been somewhat helpful if you've been considering picking up one of these shades! Yes, it is a complete faff to actually get one of these lipsticks but overall I'm glad that I managed to pick one up and try it out. I won't lie, I am mildly tempted by some of the Kylie Lip Kits but I'm saving my pennies for now. Let me know if you've tried or want to try any Kylie Cosmetics products! I hope you all have a lovely weekend! Happy Friday! These look so cool though! Everyone loves her lipkits so I should definitely get on board! The shade might be a bit too bold for me but the pale pink metallic one looked really pretty! Seems like a lot of hassle for it though, especially if you live outside of the US. Hopefully some other brands will come out with longer-lasting metallic liquid lipsticks! So much hype about her products right? The shade you grabbed is beautiful though! That shade is such an interesting colour! Would look amazing on your skin tone! Thanks for a great review!